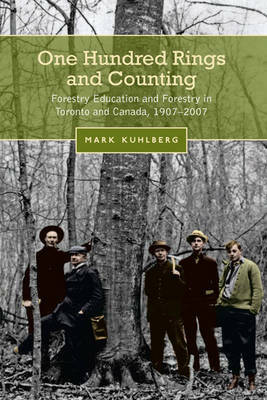 Mark Kuhlberg, One Hundred Rings and Counting: Forestry Education and Forestry in Toronto and Canada, 1907-2007. Toronto: University of Toronto Press, 2009. A.R.M. Lower, The North American Assault on the Canadian Forest: A History of the Lumber Trade Between Canada and the United States. Toronto: Ryerson Press, 1938. H.V. Nelles, The Politics of Development: Forests, Mines, and Hydro-Electric Power in Ontario, 1849-1941. Toronto: Macmillan, 1974. Graeme Wynn, Timber Colony: A Historical Geography of Early Nineteenth Century New Brunswick. Toronto: 1981. Peter R. Gillis and Thomas R. Roach, Lost Initiatives: Canada’s Forest Industries, Forest Policies, and Forest Conservation. Westport: Greenwood Press, 1986.